The heat is on, in more ways than one! 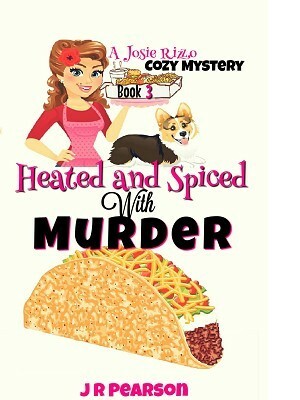 It's date night for Josie and Tony, and what promises to be a very spicy evening is snuffed out when Tony's close friend, chef Manny Epstein, is arrested for the murder of rival restaurant owner, Marco Gonzales. Tony is certain police have arrested the wrong man and by all means, he is determined to find the truth. Unfortunately, he and Josie are up against a couple of dirty cops to uncover who the real killer is. Tagging along for the investigation, Josie's tech-savvy twin brothers are there to help prevent Manny from being thrown behind bars for a crime he didn't commit. All the while, Josie and Tony's relationship starts to heat up and Josie soon learns why her brother, Reese, isn't a fan of the new happy couple. Grab a napkin! This is one tasty mystery you don't want to miss!